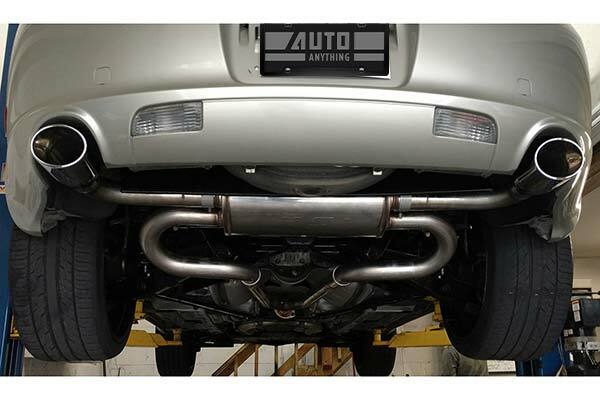 Magnaflow Exhaust Systems - Axle & Catback - FREE SHIPPING! 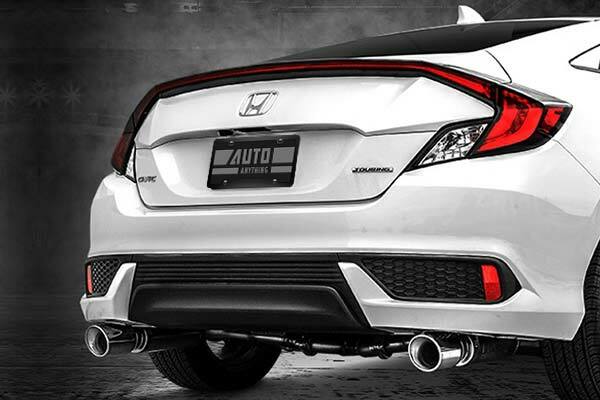 Sound, performance and power — the three things everyone wants and you can have with a Magnaflow Exhaust System. 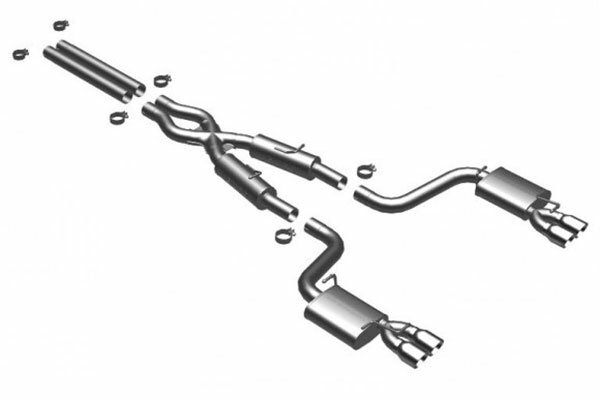 An aftermarket exhaust is the perfect way to unleash your vehicle’s potential. 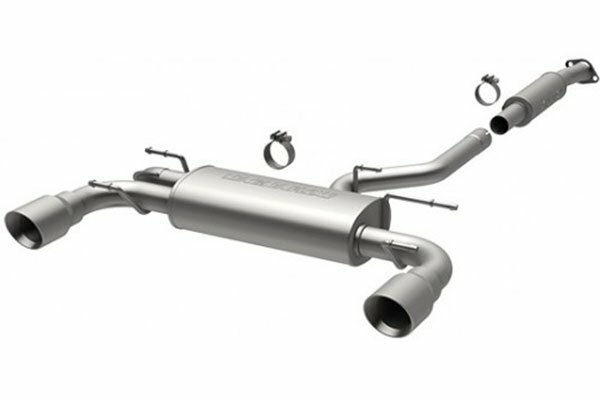 With larger pipes, high-quality T-409 stainless steel construction and straight-through muffler designs, a Magnaflow cat back exhaust or axle back exhaust is the perfect upgrade to virtually any vehicle. 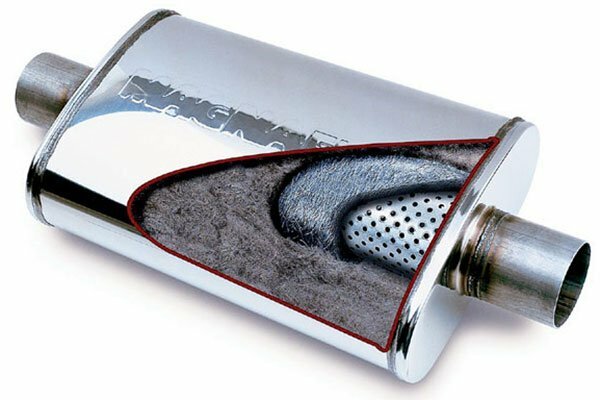 Magnaflow offers many different performance exhaust systems, from their MF Series Cat Back Gas Engine Exhaust Systems to their Pro Series Diesel Particulate Filter Back Exhausts — and everything in between — to satisfy the sound and power needs of every car and driver. 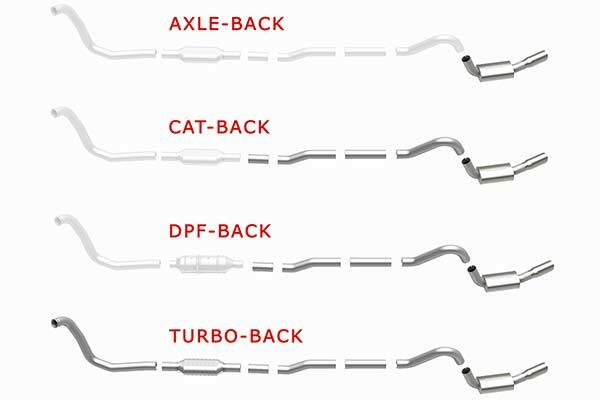 In addition to sound and performance options, Magnaflow offers a variety of exhaust pipe sizes, colors and exit types to give the look you want. 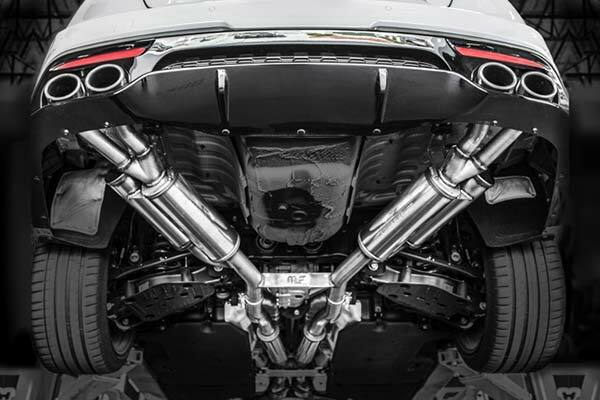 Horsepower gains, increased pulling torque and even improved MPGs (if you can keep your foot off the gas pedal) are yours with a Magnaflow Exhaust. These USA-made, bolt-on systems are suitable for the novice and experienced DIYer alike. 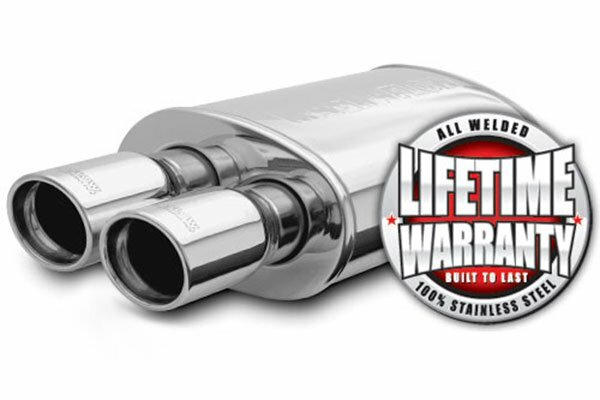 To complete the package, Magnaflow backs your Exhaust System with a Lifetime Warranty. 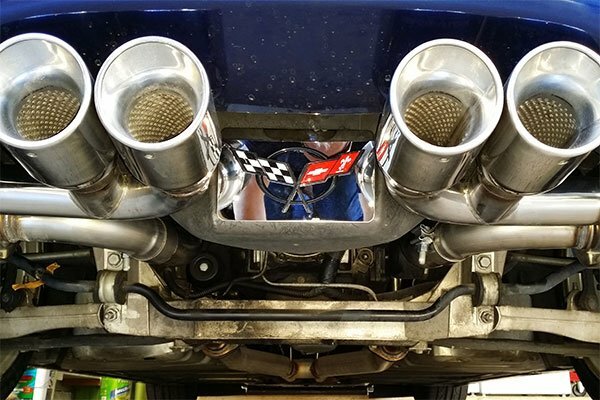 Really nice exhaust system and pretty easy to install. Installed the exhaust in my garage today and I like it! ...sounds pretty good, just wish it was a little louder, lol. 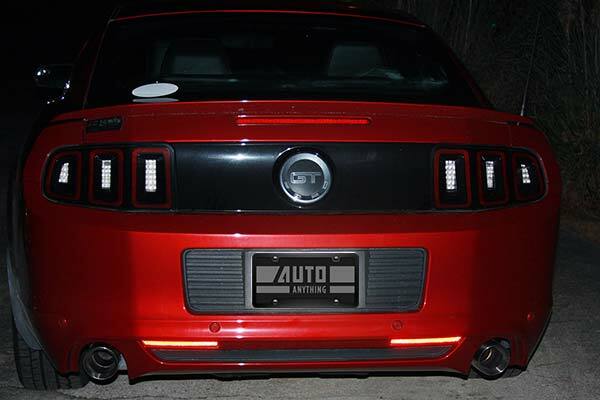 Has a deep tone and sounds great when You hammer down. I was shopping for a new exhaust system for my H3 and finally decided on the Magnaflow (thanks to a 20% off coupon on AutoAnything). Everything matched right up for an extremely easy bolt on installation. The welds on the muffler and tips are impressive and the overall look on the Hummer is awesome. 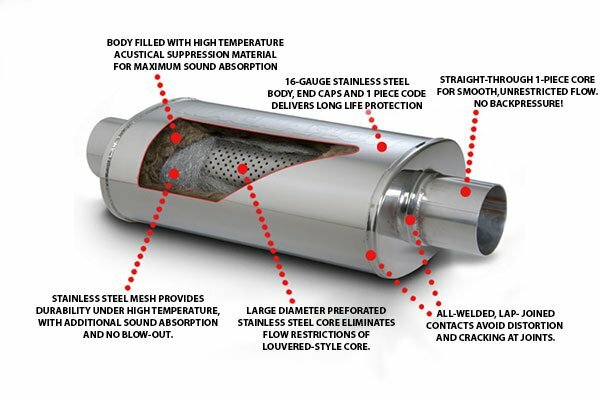 I have had a lot of other exhaust systems over the years, this one is by far the best quality. Fit and finish is top notch. The sound is deep and powerful but not overly loud or obnoxious. 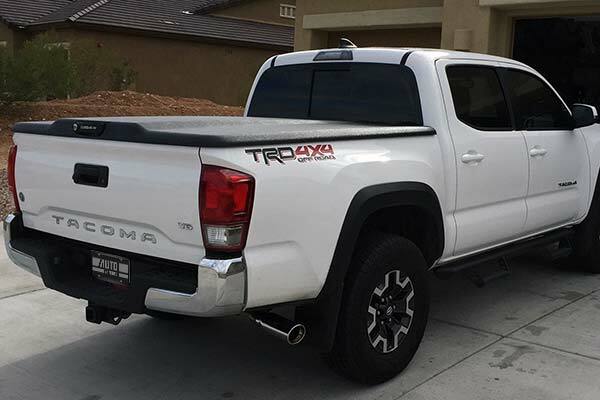 Perfect for a daily driver or something that you plan on driving down the highway on a road trip, but also sounds great idling or when you hit the gas. The tail pipe and tip are tasteful and not over kill. Also gets rid of the ugly resonator that Dodge decided to hang right behind the rear axle. 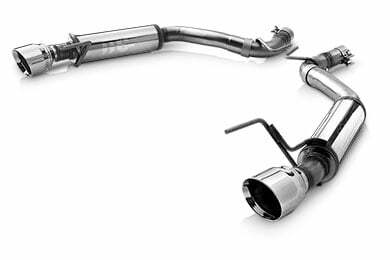 This is the exhaust system my car should've had from the factory. It's like the 3.6L V6 engine has broken through a barrier and has unleashed its true raw power. 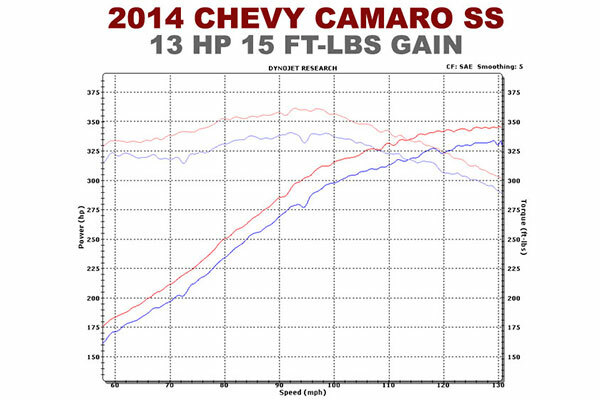 When I'm not accelerating hard it's getting 2 or 3 better mpg's. The system is quiet when at cruising speeds but louder when I I want it to be in fast accelerating. Overall it's the best modification I've made to my car. Better mpg, more torque and horsepower, and engine breathability. For the price it's definitely worth the money. Reference # 757-844-148 © 2000-2019 AutoAnything, Inc.